Ceramcoat Magenta Acrylic Paint - PLAID: Delta-Ceramcoat Acrylic Paint. 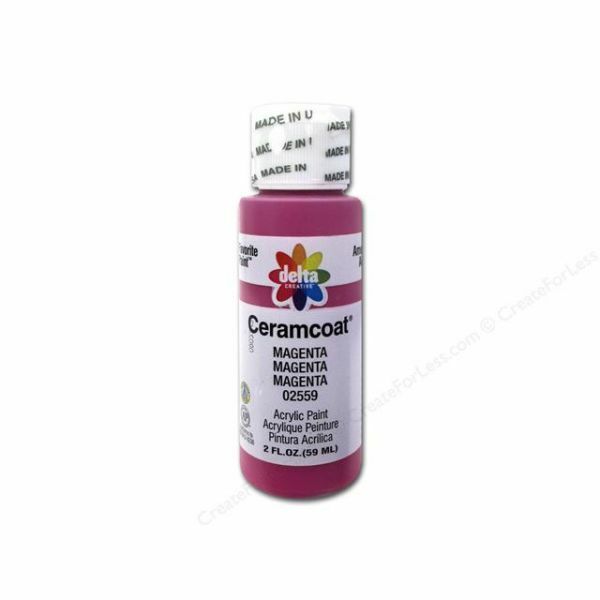 Ceramcoat Acrylic Paint comes in rich, vibrant colors and has a creamy smooth consistency for one coat coverage that dries to a uniform matte permanent finish. This paint is perfect for a wide variety of hard surfaces: wood, paper mache, primed metal, plaster, resin and bisque. This package contains one 2oz bottle of paint. Available in a variety of colors, each sold separately. Non-toxic. Conforms to ASTM D 4236. Made in USA.